SVG support is a topic that has already been discussed multiple times in blog posts, stackoverflow answers etc. 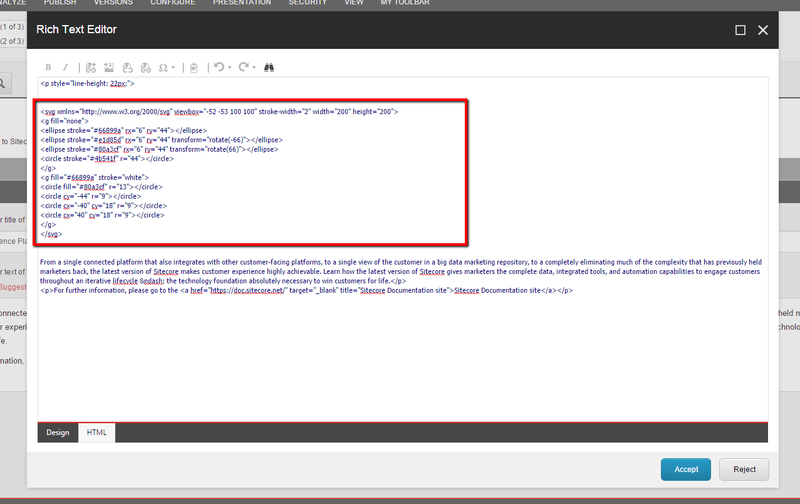 The main and the most common solution is to register the SVG MIME Type under the /sitecore/mediaLibrary/mediaTypes node like the following line. And that is it ! Now your SVG images can be safely uploaded to the Media Library ! However now you will encounter some problems when the content editors start uploading and using SVG Images, so I decided to put a blog post about them. 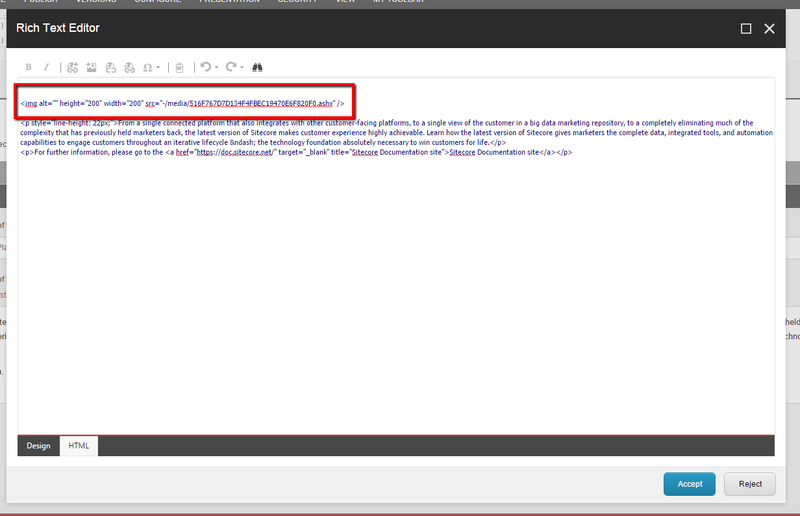 Note: All source code shown here is using Sitecore 8.1 Initial Release. Also because the code for the corresponding pages is pretty big I will just post the relevant fragments here. The full code of the solution can be found on BitBucket. Problem 1: My Rich Text Editor is not accepting SVGs ! 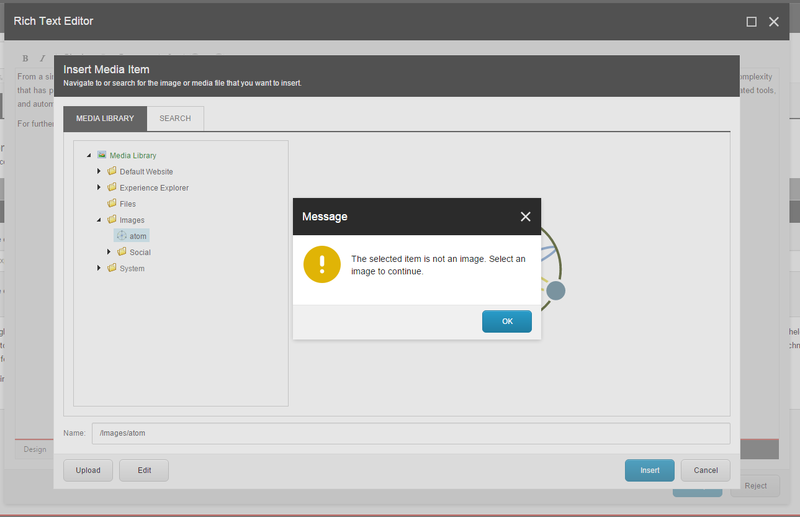 So Sitecore is not considering our SVG as ImageMedia. Note: Here is the time to say that I haven`t found an approach to register the SVG as ImageMedia. If someone has an idea I will be very grateful if he can post it in the comments section. Well the fix is pretty straightforward – nothing fancy here. We need to hijack the dialog and add some custom logic to recognize our SVG as a real image. 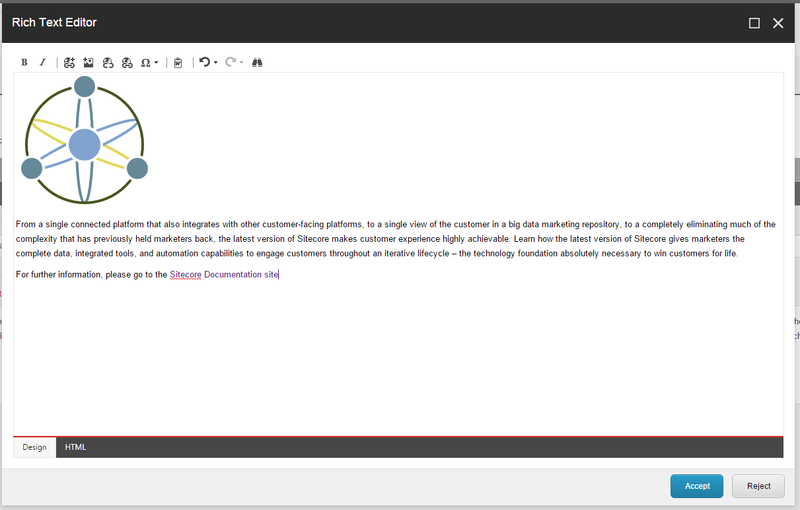 Note: I usually prefer to copy and paste the XML Layout into /sitecore/shell/override folder instead of modifying the existing one. And now we can safely add our SVG Image ! Problem 2: My Rich Text Editor is not handling the SVG correctly ! So now we need to make the image appear ! The problem shows itself when we check the html of the Rich Text Editor. Problem 3: But what about rendering it on a Sublayout/Rendering ? Well, the next struggle is to render the SVG correctly in our components. And here is one of the things I love most about Sitecore – all field renders (if used correctly :)) goes through the RenderField pipeline ! Meaning – we just need to modify the GetImageFieldValue processor with our own and we should be set ! The GetImageFieldValue processor renders the image thanks to ImageRenderer helper class. So we need to create our own ImageRenderer which is going to support SVGs as well. And we are done ! 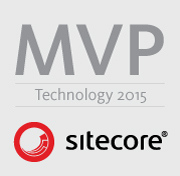 Now no matter if we are rendering the image in a MVC Rendering or WebForms Sublayout, if we are using the Sitecore Helper or the Web Control (Worth to mention that it will also work if you are using ORM as long as it is using the RenderField pipeline to fill the values – like Glass Mapper is :)) we will get a nicely formatted SVG image! Full code can be found on BitBucket.